Project development is a complicated, multi-layered task. It takes a lot of dedication and all sorts of investment from project leaders. As a result, they at times feel tempted to sacrifice some of the long-term strategy planning and preparation in favor of running tasks and short-range objectives. And to some extent, this approach is correct – it’s easy to overlook urgent details if only looking into the future. Unfortunately, the reverse situation – being buried into daily issues and not having time to sit back and sweep the whole project – is much more common and costly. Most often, this happens when project leaders don’t understand one simple yet fundamental feature of any project. This is exactly the topic we’re going to address today! Don’t be surprised by how generic this scheme looks – we simplified it for illustration purpose. What IS important though is how the “changes” graph looks at each of the stages. At the Conception and Planning phases, there are plenty of opportunities to implement alternative solutions, and the cost of a mistake is small. That’s when various ideas should be tested, appraised, and evaluated, and the overall strategy is developed. You have to be sure that the majority of the appraisal and idea generation has been completed by the end of the Planning stage. When the Development phase begins, the cost of changes rockets, because this is when you start enlisting employees and contractors to the project. They must be paid for their time, no matter if you gave them something to work with or not, so you have to think ahead. You wouldn’t want your IT workers to be paid for weeks-long slacking while you’re sorting out yet another sudden problem, would you? That’s why the end of the Planning phase is a major milestone. Everything takes off from there. The longer project leaders refuse to acknowledge existing problems and crudity of a current plan, the higher price they’ll have to pay eventually. This may even total to a complete smashup of the business. So, what can be done to prevent an ignominious end? Well, this task is not as overwhelming as one might think. 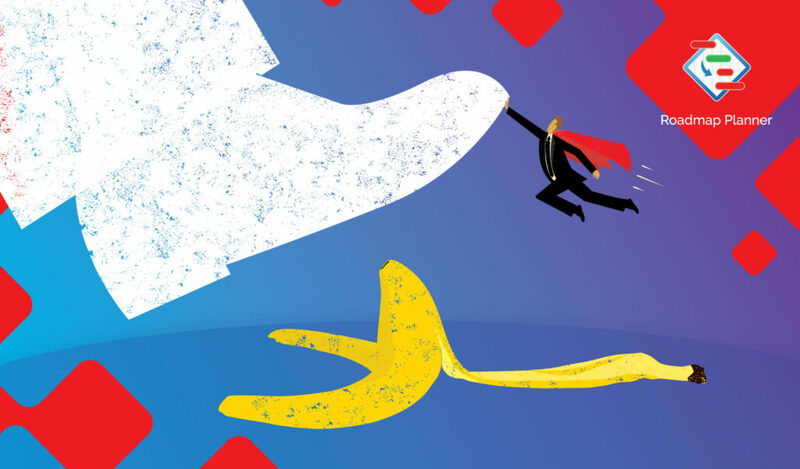 The first step towards success is to acknowledge the importance of strategic planning (we hope that this realization won’t take you long after reading this article). Then, you need an actual strategy. How to plan strategically? It’s a complex question that we have written a number of pieces about (this article on good and bad strategy, for example). In short, you must develop a big picture of your project, with its main goals and milestones, and then represent this vision in the form of a roadmap. For this, we recommend using Roadmap Planner. This application is especially effective in terms of the cost of changes. With it, you can easily define your project’s point of no return by setting interrelations between various stages and collateral departments. Which means, in turn, that you will not only clearly understand the timescale of the project, but will also see the specific milestones that will cause a major increase in the cost of changes. Additionally, as a neat bonus, by maintaining a helicopter view of the business you will always know for sure what exactly your team does right and wrong. This way, even if some changes do become necessary, you will be able to manage and implement them with pinpoint accuracy. Every day that your project spends without a strategic plan increases the price of future mistakes. So define the “right thing” for your project as early as possible, so that later you can fully concentrate on “the right thing done right”. 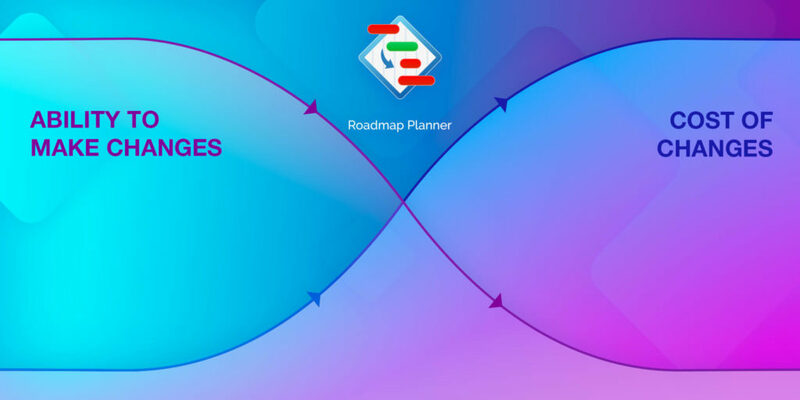 Waste no more time, download Roadmap Planner trial now! Also, check out this article on how to make use of your project downtime period and work on your marketing strategies. We’ve shared our experience!